The Library is a pivot point for all reading and reference material, cultural activities, literary discussions, small seminars, access of information, knowledge building and discussions. 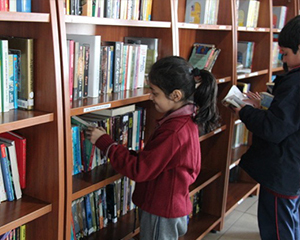 The School library caters to the requirement of all students from 3 to 18 years. 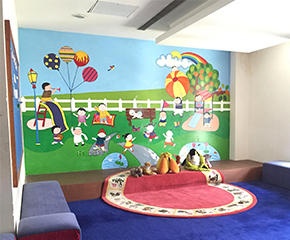 It has a range of academic books for different subjects, both for the National and the International curriculums. Also fiction and non-fiction books including classics, are available for all age groups. The E-Library we subscribe to is the EBSCO High School Collection, that provides our scholars and mentors with sufficient resources for general reading and for the research material required in course works and research projects.